The DATRON Axis4 rotary axis expands the machining options of your DATRON milling machine. With a clamping mechanism, it allows multi-sided machining an circular engraving. 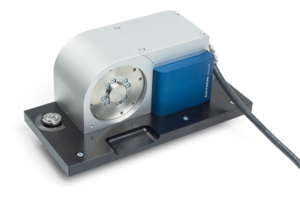 Developed, tested and manufactured by DATRON, the rotary axis, with high dynamics and precision, is perfectly adapted to your DATRON milling machine.